New Delhi : Kamal Haasan has been in the news since the Bigg Boss Tamil first season started. Recently a case of defamation has been launched against actor Kamal Hassan. The case was filed in the context he was found disregarding a particular community in one of the episodes of Bigg Boss. The case has been filed in metropolitan magistrate court. The hearing will take place on September 1st. The case was like this that 'Nadaswaram', is a musical instrument, which is been treated by God by one community named Isai Vellalar. The President of that community K R Kuhesh said that in one of the episodes actor Sakthi was seen degrading the instrument. She was seen throwing the instrument from one hand to another in the wrong manner. Also, it was added that the instrument in the Bigg Boss house was kept on the dining table where participants used to have food which was insulting to the community people. 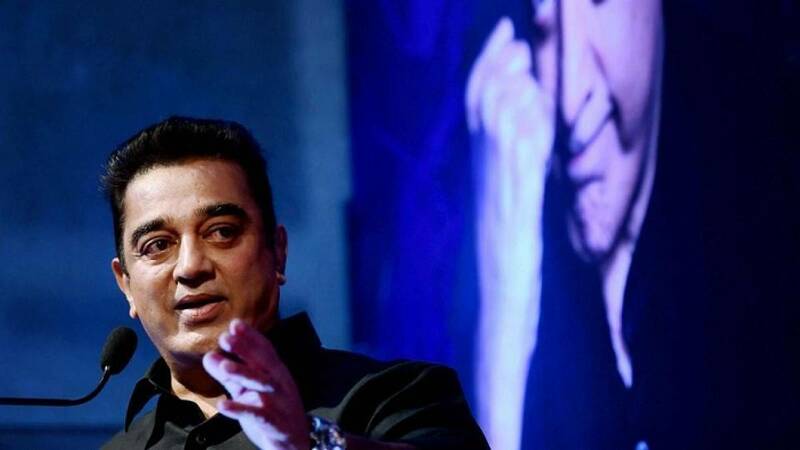 According to The Times Of India, Chanel, Kamal Haasan, the actor Sakthi and the producers of the show were well aware that the act of insulting the instrument will hurt the sentiments of the people of the community. The petitioner added that Haasan has not yet sought any apology regarding the case. Even it was said that the act was done intentionally for gathering viewers.